Three important races are taking place in the United States: the Presidential race, the cultural race, and the race to see the American church turnaround from decades of declines. The culture is unveiling new challenges almost daily. The Presidential race result is uncertain, but concerns about whoever wins is certain. Left unchanged, the church will continue to see major declines in active followers and weakened impact on its followers and the culture around them. The culture-shapers are rapidly turning much that we have known, valued, and trusted upside down and intentionally led us into moral decay in many areas of life. In the midst of this culture shift you would think the church would seize the opportunity to advance God’s Kingdom, instead the church is losing ground, even among our own children. We should be engaged in our most important race in these unprecedented times to live and carry the gospel to neighbors near and far. The 2016 Presidential race is quite abuzz. We have never seen such political race lows. Most voters are voting against a candidate, not for one. Few are pleased with our Presidential options or our country’s direction. These Presidential candidates have negative views at record high levels and rate remarkably low in trustworthiness. People do not trust our national leaders, but it does not end there. Most all areas of culture, including the church, are experiencing declines, unrest and a lack of trust. The people of the US live in a cultural bog or swamp, where the dangers are many and hidden, and the travel forward is difficult at every step. The cultural bog is far away from the solid ground of our Judeo-Christian heritage, values and teachings. The degeneration has been mounting for decades, but the pace is quickening exponentially. Over the last hundred years, the church collectively has lost philosophy, science, truth, morals, ethics and all types of historic norms regarding gender identify, sexuality, and acceptable behaviors which are expected not only to be tolerated, but accepted. The cultural bog has gripped the American church’s values in both its leaders and followers. The culture-shaped values of the church then affects the behaviors. Our church gatherings and efforts have done little to prevent the damage and to free the church from the bog to advance the church’s mission around the counter-cultural values of God. 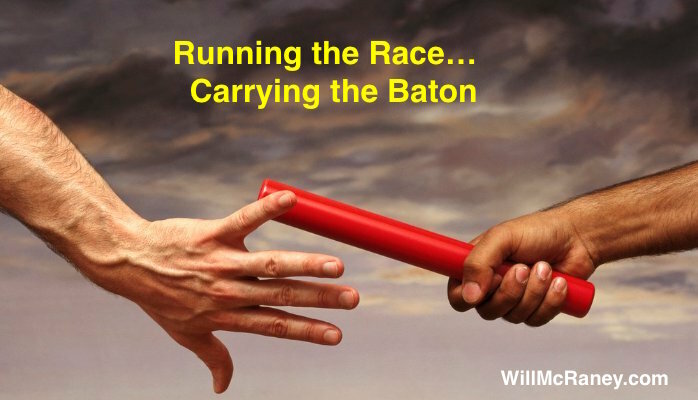 The church of America should be racing (actually in a battle) to advance its mission in the midst of these political and cultural challenges, yet we are traveling at increasing speeds downhill farther away from our uphill finishline. We are losing ground in efforts to help followers of Christ live out biblical values instead of cultural/media shaped values of health, wealth and personal pleasures in moral relativism. While some Christians look to political leaders for answers, it is past time for the church to reset its course and develop a “peculiar” people who live Christ’s Word closely and thereby distinctly and intentionally impact people and parts of the culture around them. Leaders of the church inherited the responsibility and privilege to care for and attend to the purposes of the church. For God’s glory, we steward the bride of Christ and are engaged in advancing the purposes, values and commands of Christ among our neighbors, both near and far. We consider the consequences of handing off a national debt to our children and grandchildren. Should not we be giving even more careful attention to the type of church we are handing off to our children and grandchildren? While there are notable good things happening and our team wins in the end, we need to be careful to not believe our own PR press that things are well or good enough. It seems to me that we need courageous national church and denominational leaders to stand and speak the truth: that the American church is in distressed times. It is hard to rebuild a plane in the air or a boat in the swamp, but evangelical Christians must. We must examine our approaches in our mission efforts, training of pastors and church leaders, engagements of the lost, and how we develop courageously committed followers of Christ. Swamp living is different than living on solid ground. It is a new world. Over the last 7 years according to the largest research project (Pew Research America’s Changing Religious Landscape) on Christianity, 7% fewer people of the entire national population identify themselves as Christian. This is staggering! The fastest growing group in America are the “none”s when it comes to religious affiliations. Southern Baptists, historically known for their evangelism and church planting successes, are seeing 70 year low baptisms and starting 35% (500+) less churches each year over the last 5 years than the previous 5 years. This is painful now, but will soon be devastating unless something changes. It is insane to continue doing the same thing and expecting different results. Beyond ineffective guilt and working harder, something has to change. 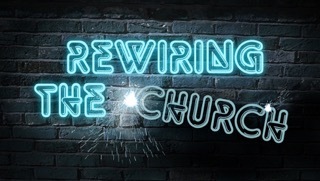 The church needs a rewiring and retooling for current challenges and opportunities. The church has to deal with the fundamental questions of who we are and how we do our mission. Because of the rapid decline happening in virtually all aspects of culture and society, regardless of who gets elected President, in all likelihood America will be worse off 8 years from now. This includes the church, too, unless we rewire the church for the new ministry environment and the new realities facing the church and its leaders. It is not enough to wish, to try harder, or to seek to recapture the good of yesteryear. The church is not at the head of the cultural or political or educational table any longer at the national, state or local levels. Regaining that position should not be our objective. We should work wisely, with faithful courage, and with humility and diligence to address the larger challenges and opportunities before the evangelical church of America. Encourage your church, denominational leaders, mission boards, and training centers to lead wisely and courageously. However, in light of our current position and the current situation, Pastor Harold Bullock in “Rewiring the American Church” with remarkable wisdom and insights summarized what has happened in the past, the situation today, and offered four markers for the task ahead for the American church includes…. Developing pastors and staff who are courageous leaders, not simply pastor/teachers with a pulpit to fill on Sundays. Ones who are living out the Bible’s teaching faithfully as they intelligently help others live out the gospel in all places of society, including their own homes. Developing new approaches to train church members to live lives directed by Biblical perspectives, commands and values. People whose personal and corporate behaviors are real and pleasing to Jesus, and who able to influence their neighbors and society with their lives, words and actions. Developing church organizational forms and denominational agencies that operate justly, with integrity, and as effective experiential training grounds for Biblical values and behaviors. It is not enough for church and evangelical denominational leaders to be like Hezekiah who said everything was “good news” as long as the destruction, plunder and captivity prophesied by Isaiah did not happen during his reign, but on his children (Isaiah 39:8). It is not enough to keep the church’s doors open, although thousands are closing annually. It is not enough to continue to do business, disciplemaking, training, and operations as usual without earnest humble prayers, gut-wrenchingly honest evaluation, and then wise adjustments in who we are becoming and what we are doing. In the political arena… Christians should vote. In the culture… Christians should be positive influences on matters around them. In the church… rethink, rewire, and rebuild itself for the new realities. It is time to rethink, rewire, and rebuild, not just tweak the American church and how we train followers and leaders. It is time for wise statesmen to help lead us forward, not religious celebrities. It is time for the courageous leaders who fear God more than most (Nehemiah 7:2), not a time of retreat by professional religious leaders. It is time for men to lead, who like the men of Issachar, understand God and the times, not a time for unproven methods or political polling and positioning by untested Christian personalities (see How the Mighty Fall by Jim Collins for description of stage 4 of decline). It is time for Christians to live out Biblical values and commands, not merely hold to doctrinal statements while ignoring the world and people around us. It is time for the church to stand and be the bride who reflects Christ to a desperately needy and searching world. It is time to recognize and engage in the spiritual war before us. It is time. Is it your time?